In automotive suspension, a control arm, also known as an A-arm, is a hinged suspension link between the chassis and the suspension upright or hub that carries the wheel. The inboard (chassis) end of a control arm is attached by a single pivot, usually a rubber bushing. It can thus control the position of the outboard end in only a single degree of freedom, maintaining the radial distance from the inboard mount. Although not deliberately free to move, the single bushing does not control the arm from moving back and forth; this motion is constrained by a separate link or radius rod. This is in contrast to the wishbone. Wishbones are triangular and have two widely spaced inboard bearings. These constrain the outboard end of the wishbone from moving back and forth, controlling two degrees of freedom, and without requiring additional links. 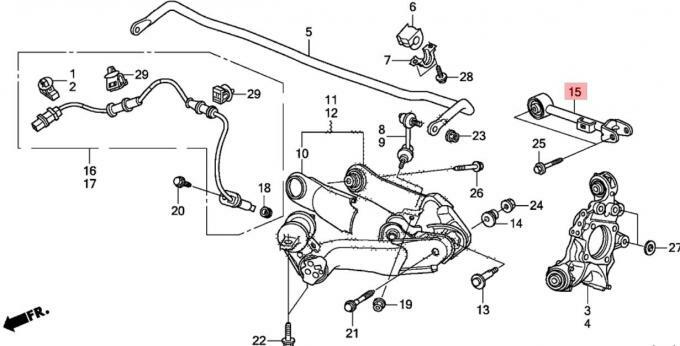 Most control arms form the lower link of a suspension. A few designs use them as the upper link, usually with a lower wishbone. The additional radius rod is then attached to the upper arm. 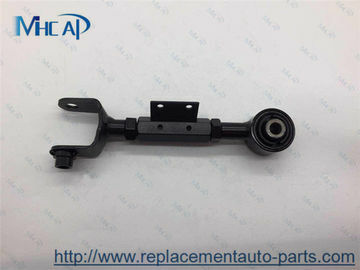 Our company specialized in auto spare parts over 16 years, supply all kinds of auto parts with rich experience , proven technique. Especially for chassis parts: engine mount, control arm, brake pads, brake disc, brake caliper, bearing , hub bearing, steering rack , tir rod end, rack end, ball joint, etc. 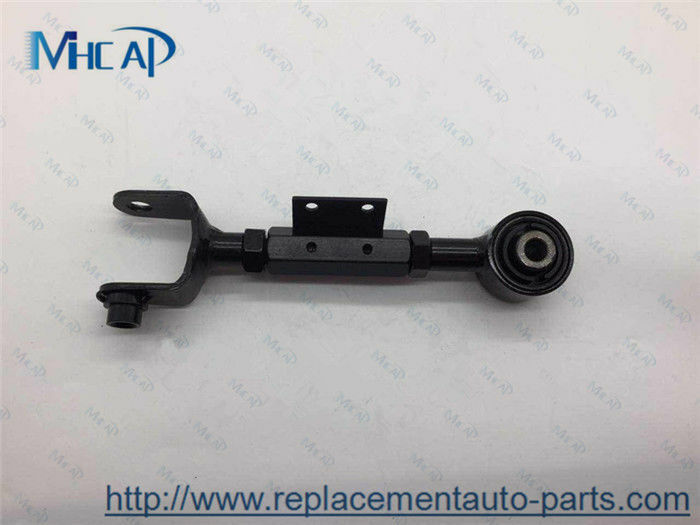 and electrical parts: sensor, clock spring, window switch, spark plug, ignition coil, injector, fuel pump, etc. and lots of HONDA spare parts for Accord, Civic, Crv , Fit, City, Odyssey. Also body parts for BMW. 1. Are you a factory or Trading company ? A: We are a company which is the joint of trade and industry. 2. Where is your company located ? How can I visit there ? 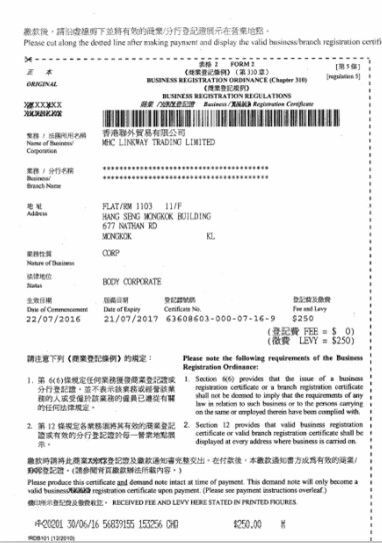 A; Our company is located in Guangzhou, all clients, from home and abroad, are warmly welcomed to visit us . 4. What’s the MOQ for each items ? A: If we have stock , any quantity accepted. 5. Could we supply samples ? A: We offer samples,but the samples should be paid. 6. What’s the delivery time ? B: Bulk Order:15-20 working days. 7. What is your terms of payment? 8. How do you send goods? 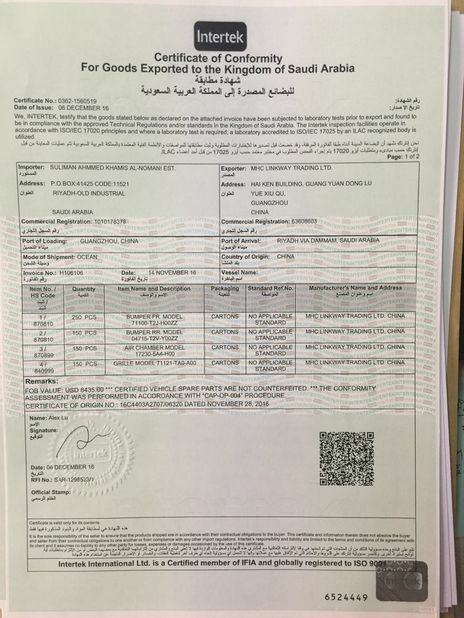 A: The parts can be shipped by DHL/EMS/TNT/FedEx/UPS or other special methods. We will arrange it for you if you have no preference on the express carrier. We are sincerely looking forwards to cooperating with you.